Great measures will be taken to make sure that services and programs match the need and community profile determined in the market analysis. We will strive to meet the balance of addressing large segments of individuals within the community while realizing that we will never market to all the segments of the community. 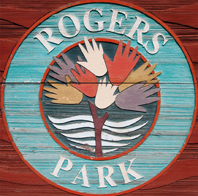 Rogers Park, Chicago is the first community in Chicago to be targeted. Through a convenience sample methodology and general interaction with the people of the community, it was determined that criminal activity is present in great enough degrees that people feel unsafe at night and uncomfortable walking alone in the community. There are not enough youth and children’s activities in the community, and the services that are available are not marketed well enough for public awareness of their existence. Job training and ESL were two programs also suggested by those surveyed. The public educational system in the Rogers Park community is below par, as schools are overcrowded and without adequate supplies. Parental participation is minimal. Social agencies in the community vary in size, and parenting classes are in demand based on conversations with many of these agencies. The local C.A.P.S committees determined that gang activity and drug dealing were the top two priorities of concern. The lack of youth programs is seen as a weakness, and potential threats include adults who lack skills to effectively parent, leading to incorrigible youth. Inter-cultural coexistence and understanding were seen as strengths. Top concerns for the 24th Police Precinct were drugs, gangs, youth and teen issues, prostitution, traffic, community participation and involvement.